Hello everyone who’s reading this! 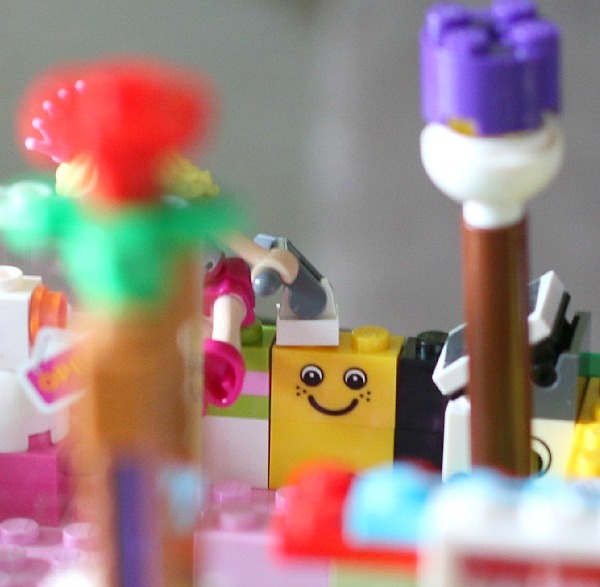 I’m going to tell you how to build a Lego store. This is my Lego store. I chose four stores to build. 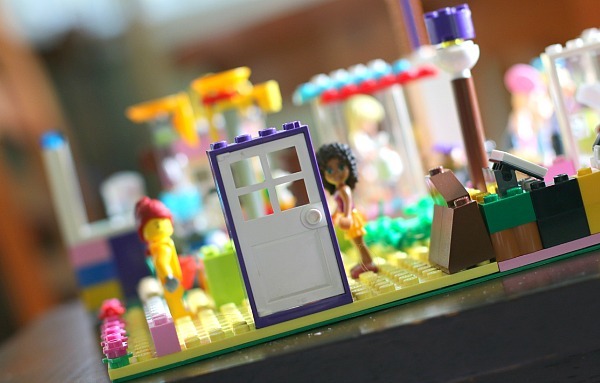 I have a flower store, a toy store, a clothes store, and just a Lego mall. This is my Lego Mall. It took a very long time to build it. If you want to build a Lego Mall, just make sections of what you want to put in it. I made a section of food, a money holder, and then just some wacky inventions. There’s even a puppy dog! This is my fashion store. 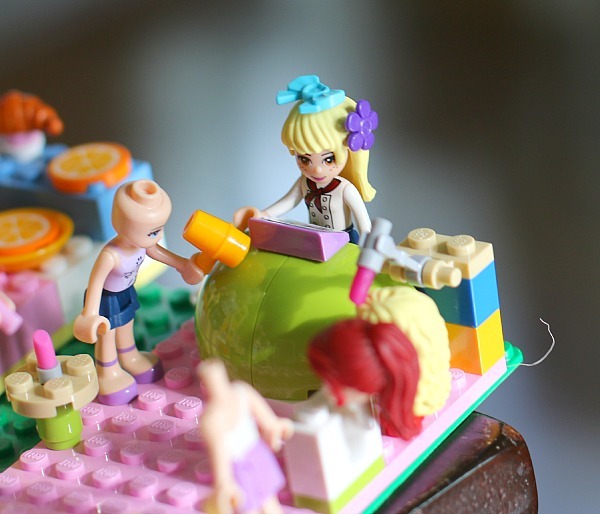 Lego Friends can only do it. 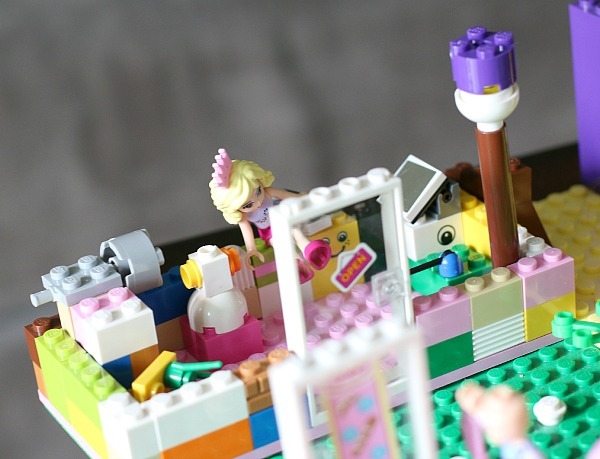 Just regular Legos can only get hair and makeup. 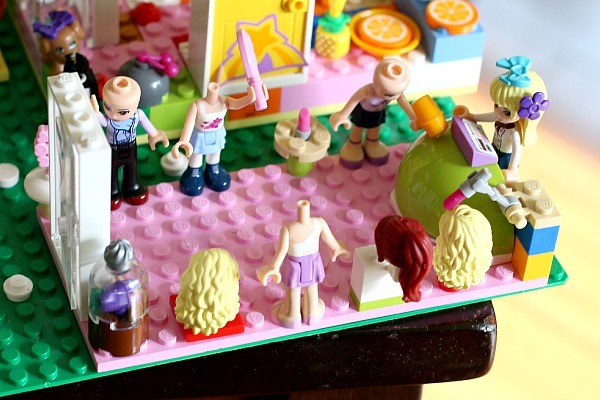 Don’t worry- those are not Lego girls with bald heads. Those are just models with clothes Lego friends can buy. There’s someone who puts makeup on people. This is my toy store for Legos. There’s a robot, a boulder that can turn, and even a mirror that if you pull a lever up, it goes up, and if you pull the lever down, it goes down! The robot is easy to make. 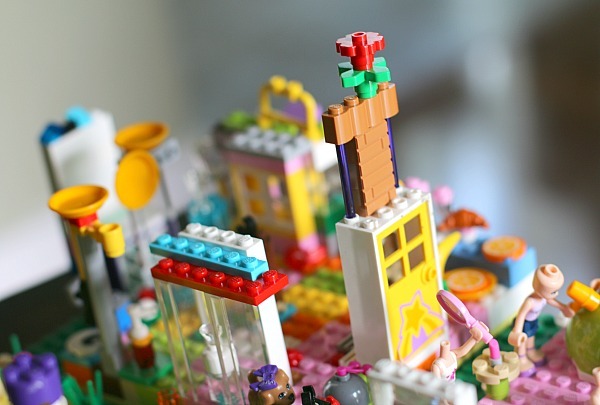 All you have to do to make this toy store, build walls, and find anything that looks like toys and put them in the toy store. This is my flower shop. I found flowers to make it and all other kinds of plants. I even found a green money holder with a pink drawer to put money in. It looks like a flower. There’s two people that work in it. One’s named Andrea, and one’s named Claire. This is my ATM. I found a Lego window, and I put some bricks at the back of it, and I put something on the top and bottom so it won’t break. I put things on top that are straight up, and there’s little things on top of it. There’s actually money inside of it! Some are just fake. Some are $100. 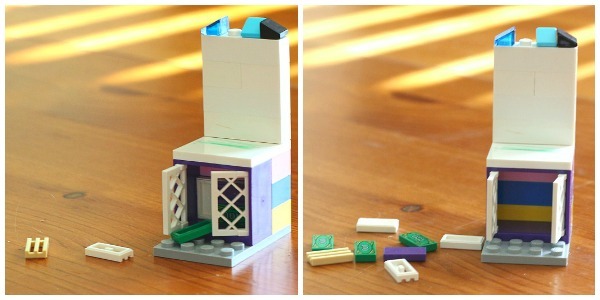 That’s all you have to do to make a Lego store. This entry was posted in Lego on December 14, 2014 by Me and You Make Something Too. I love this Lego store! I really love the mannequins. Very cool Lego mall, Lucy! I love the fashion store–so many wigs to choose from! It’s fun to see all of the cool features you added to your mall-great photos, too!! very cool Lucy. I will show it to Lila and Ryan. That LEGO store was cool looking! Although I don’t think I have the LEGOs to build it, unfortunately. And besides I am building something else. I liked the mirror! It was really cool that it went up and down when you pulled the lever. 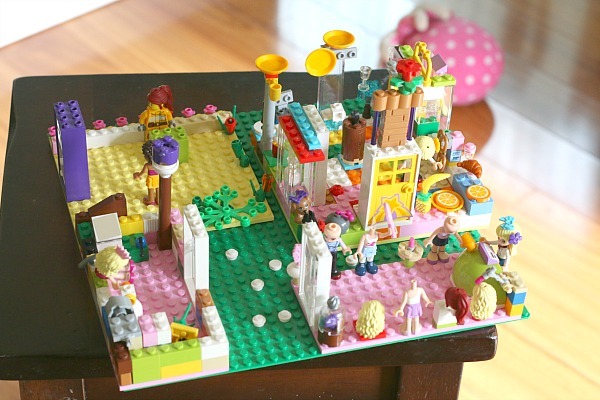 You don’t have to use lots of Legos. Use any kind of Legos you want. Build 1, 2, 3, or 4 stores, as many as you want. But don’t build 100! This must have taken you SO long to make. It’s very complex! My favorite part is the toy store. What does the boulder do? What is your favorite part? My favorite part is all of it. The boulder spins around, but it’s not real, it’s plastic. People can play castles and games with it. I could probably get those cool LEGOs for Christmas, though. I love your blog. Great job with the photography. you can make any store! wow lucy! ps it is lucy!